Hello! CTM Robin here and I’m bringing you a new monthly series. 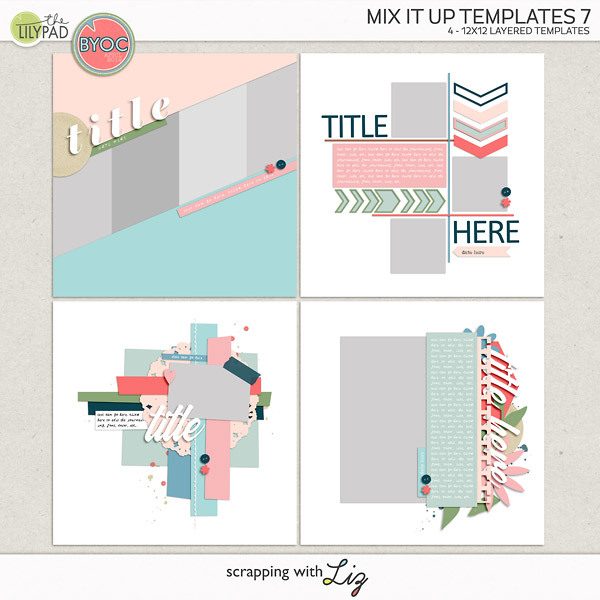 Each month I’ll show you new ways to use Liz’s templates. This will help us reuse them over and over without having our pages looking similar to each other! How fun!! To start this series off, I’d like to show you how Liz’s templates can be used simply as well as in a dressier fashion. We all know there are times when our layouts just call for sweet and simple, and other times we just want to pile on those gorgeous elements. Let me show you what I mean. 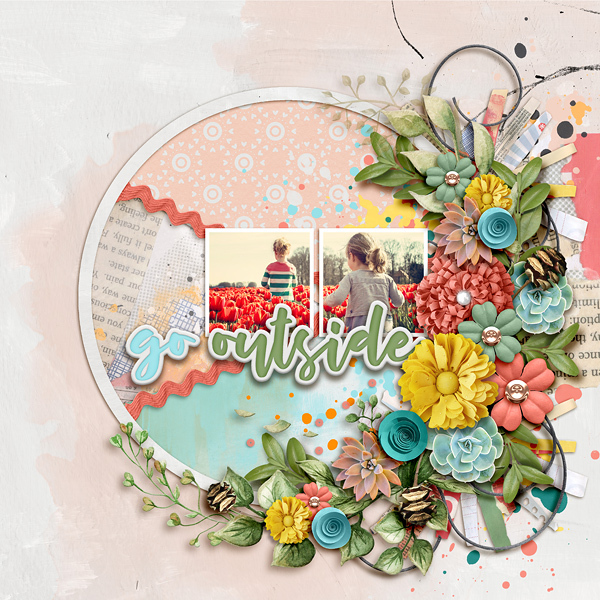 She used a gorgeous cluster and some fun banners to make this page colorful and full. Same template, but totally different layouts! Let’s examine another set of template, the Crafty Circle Templates. 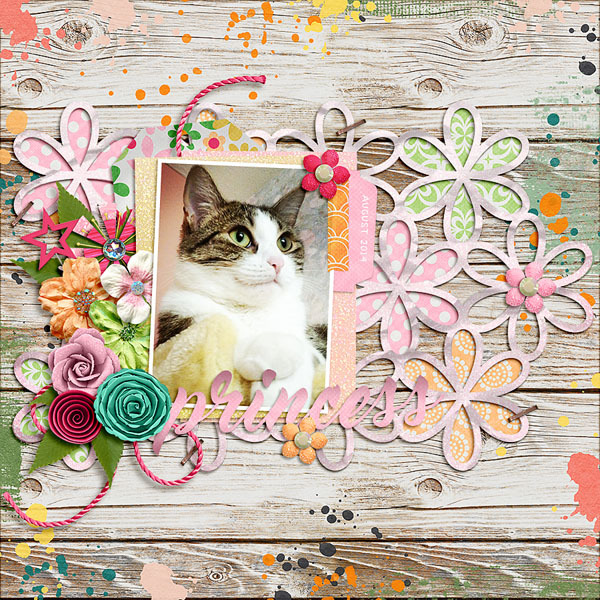 This first layout by Suzanne is striking. Her soft paper choices, simple elements, and the singular cluster are soothing and project a calming effect. It is completely different than Suzanne's layout! That large cluster is so eye catching! I love the way she used the ric rac and title to keep the eyes moving throughout her page. GORGEOUS! Finally, I’d like to show you that Liz’s cut out templates are versatile. 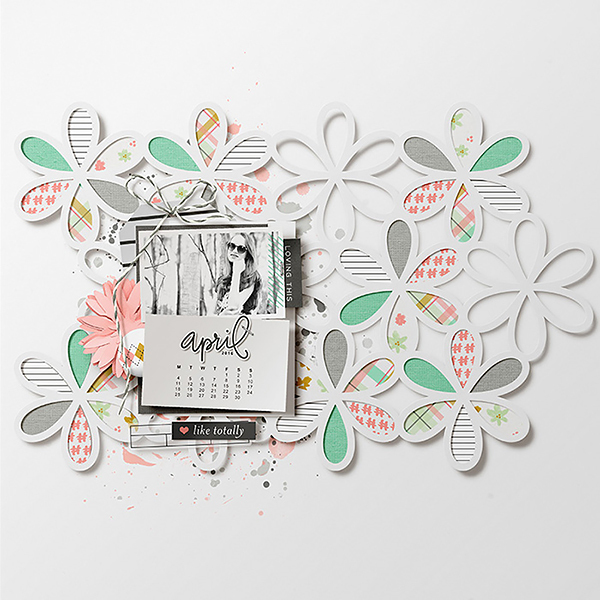 Look at these two layouts using Paper Styles Templates. The first one by Isa uses different papers for the leaves and only a few elements. She used the same papers for her flower petals, and added a great cluster and paints, as well as a pretty woodgrain background. It’s so pretty but still keeps the photo as the main star! 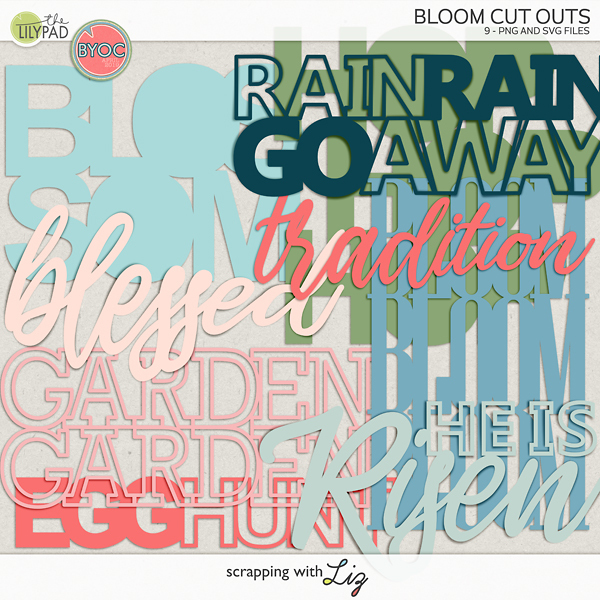 I hope you can see that by adding some elements or changing the paper choices, you can create a totally different feel with Liz's templates. 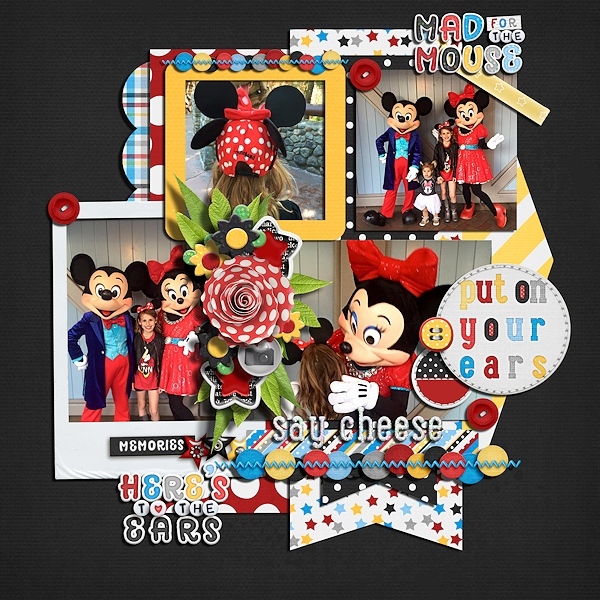 Whether you decide to do a clean and simple layout or a dressier one, you will end up with an amazing page in the end – all while stretching your stash and documenting those memories! 40% OFF ENTIRE STORE - TODAY ONLY!